It mainly focuses on the markets of all types of clothing that sale both in China and out of China as well as exporting. Our Customer Contact Information Our Factory Our manufacture bases locate in mainland China and Southeast Asia with including our own tatting and weaving factories. Moreover, focusing on the demand and expectation from each client, devoting to provide the best service for clients on aspects of designing of products, analyzing the trend of market, ext. then we can start with a sample to check our quality, after that you place an order . a sporty silhouette ideal for work or play, this lisa dress can be paired with sky high heels for night, or sporty low top trainers for day. inspired by the constant evolution of the athlesuire trend, etienne deroeux has created this refined navy blue shift dress with detail golden zip front. wild maternity clothing v-neck breastfeeding clothes mode style nursing one-piece clothing item no. It mainly focuses on the markets of all types of clothing that sale both in China and out of China as well as exporting. Products are sold in America and European include top and average level of fashion, wool coats, eiderdown and also clothing for kids. Contact Information Our Customer Our Factory Our manufacture bases locate in mainland China and Southeast Asia with including our own tatting and weaving factories. 1 YRS Yiwu Haozhan Apparel Co., Ltd.
we will refund the intial payment you paid up to the supplier&rsquo;s trade assurance coverage amount available for the contract. this service is free for both buyers and suppliers. (since shipping date) &bull;If any defect exists, free replacement will be sent along with your next order. &bull;Warranty provied: 6 months for battery, 3 months for atomizer. (since shipping date) &bull;If any defect exists, free replacement will be sent along with your next order &Oslash; 100% original! Alibaba.com offers 247 mode dress products. About 17% of these are girls' dresses, 7% are plus size dress & skirts, and 5% are casual dresses. A wide variety of mode dress options are available to you, such as 100% cotton, polyester / cotton. You can also choose from plus size, washable, and anti-wrinkle. As well as from satin, crepe, and worsted. And whether mode dress is embroidered, or plain dyed. 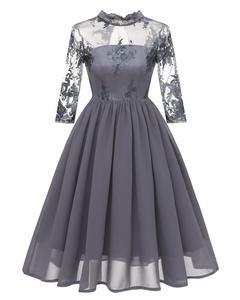 There are 247 mode dress suppliers, mainly located in Asia. The top supplying country is China (Mainland), which supply 100% of mode dress respectively. Mode dress products are most popular in North America, Western Europe, and Southeast Asia. You can ensure product safety by selecting from certified suppliers, including 80 with Other, 13 with ISO9001, and 5 with BSCI certification.